Let’s start by calling a spade a spade. All those instagram accounts that make it seem possible / desirable for you to have children AND continue to dress in super expensive clothes with high heels are just lying to you! It is not possible! Or even really desirable! Ok it is a bit desirable. 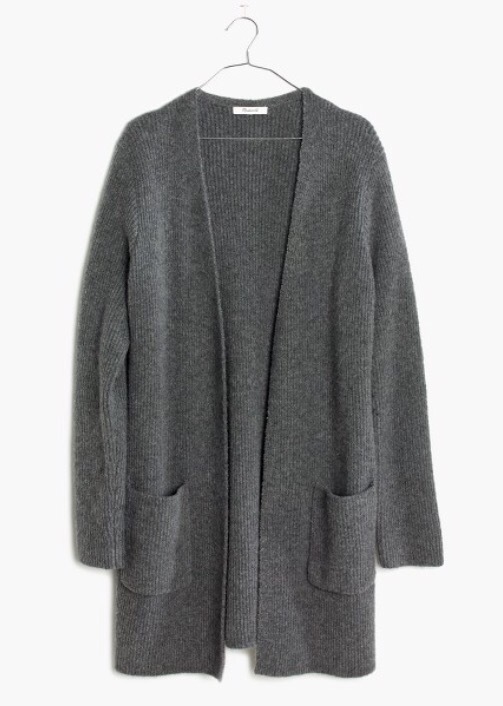 I really think that an ultra luxe wardrobe pared back in the way of these kinds of blogs is the way to go. Simple. Stylish. Parisian. Buy less but better quality, etc, and anyway shoes with heels are quite comfy and look way better than flats, especially if those flats might be a dirty and slightly frayed pair of keds you bought 2 years ago in tk maxx for £10 (hypothetically speaking). However – and this is a big however – it just doesn’t work when you have a small child – even more so when you have many small children. In the course of today I needed to be able to leg it faster than a 2 year old heading towards a busy road – goodbye high heels. I have to be able to get from a car to a music class with a baby in a sling, a toddler on my hip and a preschooler walking next to me – goodbye any sort of heel. I am normally weed on at some point in the day and definitely have food smeared on me – farewell any clothing requiring dry cleaning. I spend most of the day crouched on a floor – au revoir, any jeans that slide down. Or breastfeeding a baby – so long, dresses that can’t be easily opened or hoiked up and anything tight fitting. Essentially, this rules out most style bloggers’ ideas about the perfect mum attire! Just a breezy attitude and a pair of ash jalouse boots! Ugh. Without further ado, I present to you the realistic and achievable mum of small people capsule wardrobe that is As Good As it Gets – for now. When the smallest is 2 I will update this list to include all of the above and a number of smug photos of me with a breezy attitude and stacked heel boots. 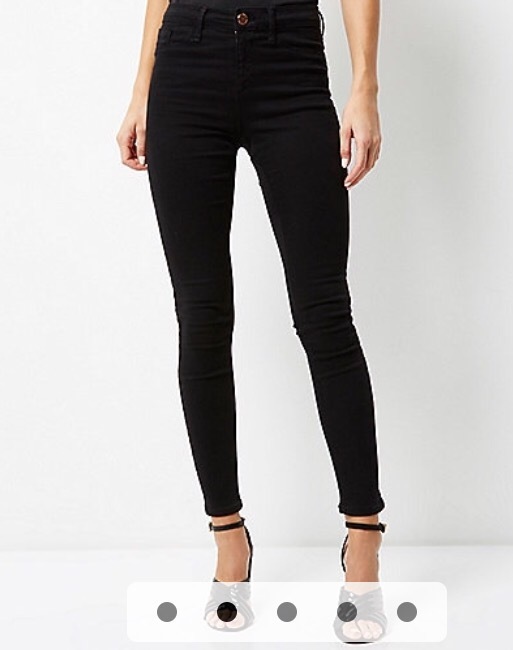 (I like these from River Island – not my usual go to shop but these jeans are worth braving it). 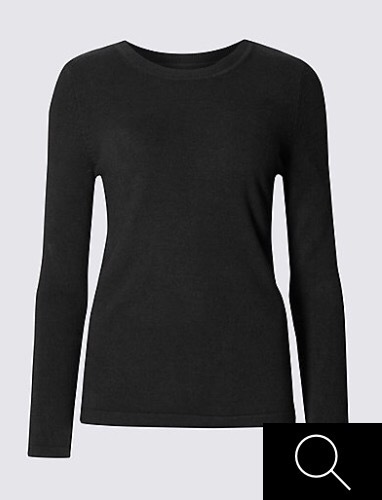 5 long vest tops – black, grey, white, the only colours permitted. Zara does great ones. And h&m for some cheapie options that may still be in your closet 8years later as they are surprisingly resilient. This will let you nurse in whatever you put over the top of this and also keep the tummy away from a public outing. 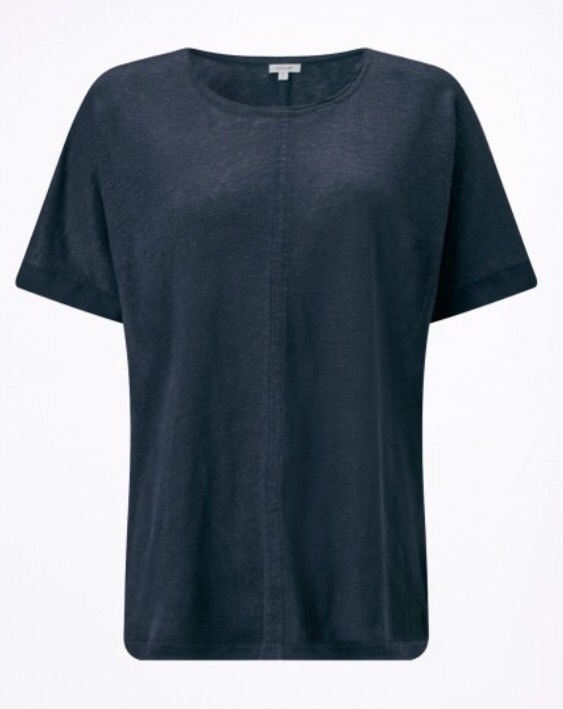 …and I try and mix it up with different fabrics – linen or a lyocell mix is a nice option, less clingy and just looks a little more like you’ve made an effort. Keeping the colours pared down means you really don’t have to think about this when you are getting ready with many small people around you. You could really push the boat out with some kind of stripe if you felt the need. A couple of crew neck jumpers. I have just ordered a children’s XL cashmere one (not sticking to my own brief re dry cleaning here but so nice to be warm especially when standing in cold parks!) but at the other end of the scale I have the old version of this M&S jumper in navy and have just ordered the new version to see if it’s as incredible. ..I have worn mine at least once a week for 6 years apart from when too pregnant (and I squeeze it over the bump until not physically possible) and it has lasted like a dream. Admittedly very dull but even The Guardian fashion people gave it the nod which was my crowning moment of feeling like I’d made it! Anyway it’s here and definitely worth a punt. Coming soon… essential footwear and accessories! Watch this space.